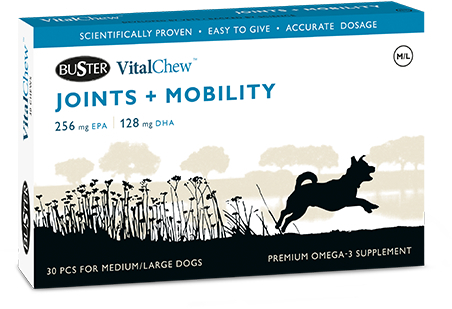 Joints + Mobility is a dietetic complementary feed for dogs. Supports the metabolism in the joints in case of osteoarthritis. 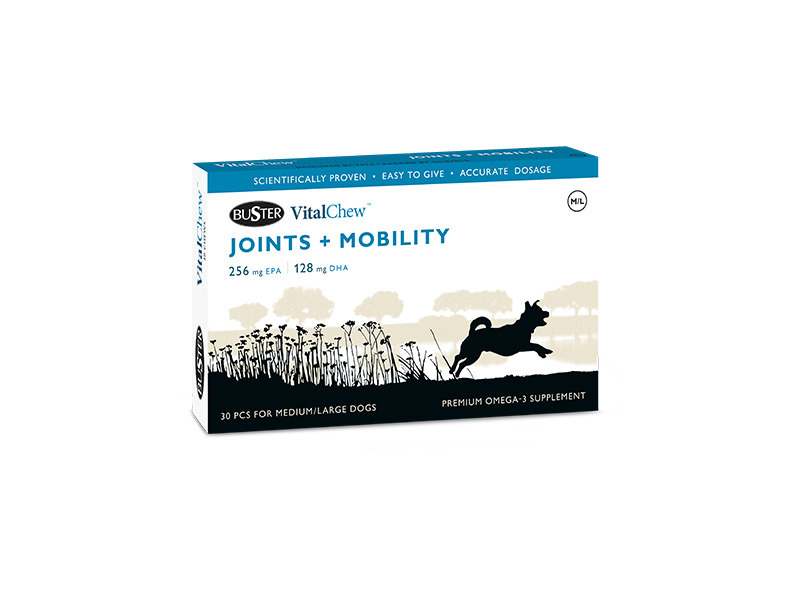 Joints + Mobility contains adjusted amounts of the essential EPA and DHA acids from fish oil. In addition collagen, selenium and vitamin E have been added, which together with the fish oil support the joints and immune system. It's available for small dogs (up to 10kg) and medium/big dogs (10-30kg+). Below are some recent questions we've received regarding VitalChew Joint Supplement, including answers from our team. How long does a packet last? I have a 30kg dog, how long would a pack last/how much does she need per day? For dogs up to 30kg the dose is one of the medium/large tablets per day. A pack would therefore last 30 days.